I know a man who owns one of these. Back in the 1980s he made a small fortune selling rock band merchandise. (One of those bands was Duran Duran. For awhile he had the exclusive US license. Think about the number of Duran Duran posters you saw in the 1980s. There's a good chance they were his.) He bought a "summer home" in the UK. 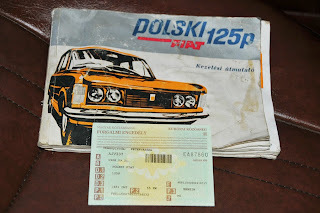 He bought a Polski Fiat to drive while he was there. He still has it. The Polish government owned FSO (Fabryka Samochodów Osobowych) factory had been building cars since 1951. Throughout the 1950s and early / mid 1960s, they offered two cars; the small Syrena, which had been designed in the early 1950s, and the Warszawa, which was based on the Soviet Pobeda, a car whose roots went back to the 1940s. In 1965, FSO signed a deal with Fiat to build the 125p. 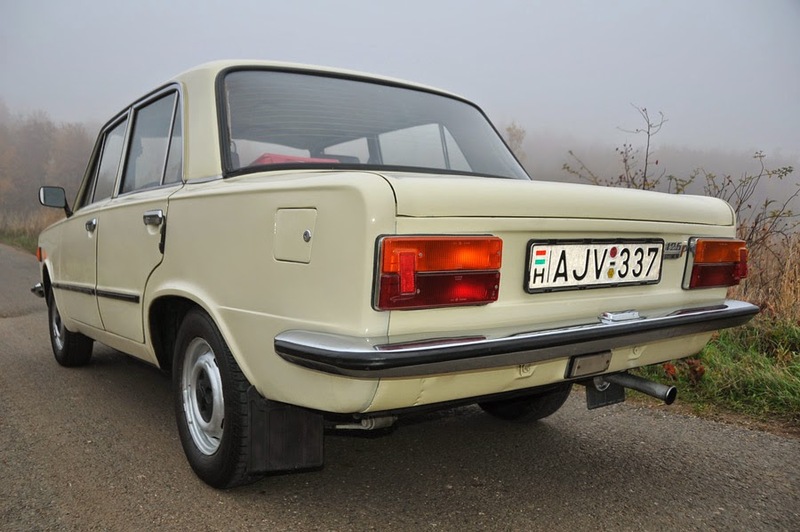 The first one rolled off the assembly line in 1967, the same year the Fiat 125 was introduced. 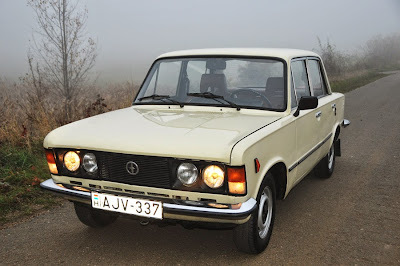 The 125p was not simply a Fiat 125 built under license. It was a unique car. 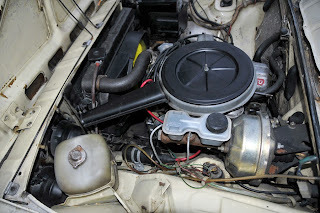 While the body was essentially a Fiat 125, the engine and suspension were from the older Fiat 1500. Besides the sedan, the 125p was available with station wagon and pick-up truck bodies. The FSO factory was completely revised and modernized for the 125p production. 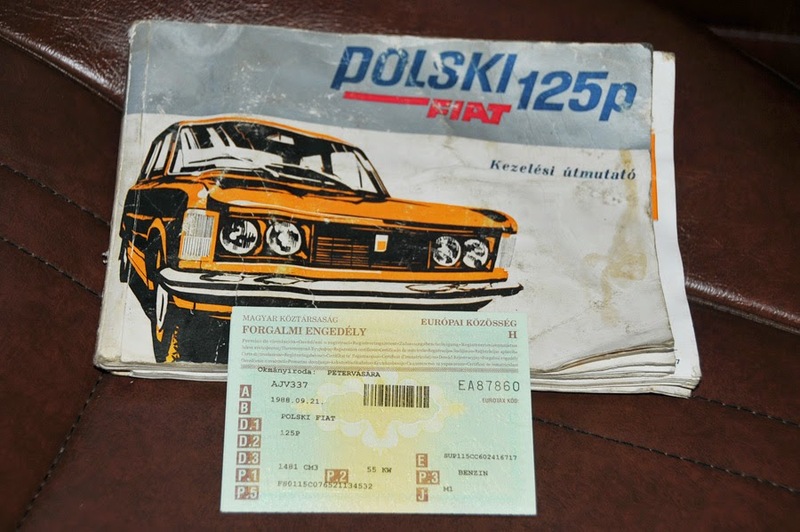 By Eastern European standards of the day, the initial build quality of the 125p was quite good. Small changes were made throughout its run to keep it relatively modern. It remained in production until 1991. The 125p gained a reputation for being incredibly tough and reliable. 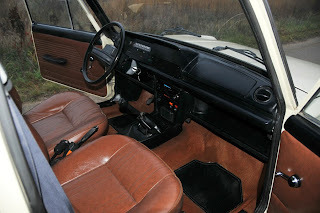 However, the combination of Italian design and Eastern European steel lead to the inevitable serious rust problems. In the few Western European countries where the 125p was sold, they are all but gone. In Eastern Europe, where people tend to fix and keep their cars longer, the few remaining cars often look like quilts, loaded with filler and patch panels. This 125p was supposedly owned by an elderly man. It is said to have less than 50,000 kilometers on it. (31,000 miles.) It looks to be in great condition. It's been about 2 years since I last saw the guy with the 125p. I asked him if he still had it. He said he did and, after sitting for 6 months since his previous visit to England, it started right up and ran great. But, it had started to rust and he couldn't get it MOT'd. (The UK equivalent to a US safety inspection.) He said he still loved the car and was planning on getting it fixed. Maybe I should send him the link to this one. Located somewhere in Hungary, click here to see the eBay listing. My friend just had 2 cars shipped from Papa, Hungary. What a nightmare! I sense putty in those fenders/rockers. Sorry 'bout that folks.